Wayne Clements is a leading Australian based artist who hand paints Original Oil Paintings. He has been a full time professional artist for over 30 years, having produced and sold over 10,000 paintings to individuals, collectors, corporations, hotels, restaurants and clubs worldwide during his career so far. 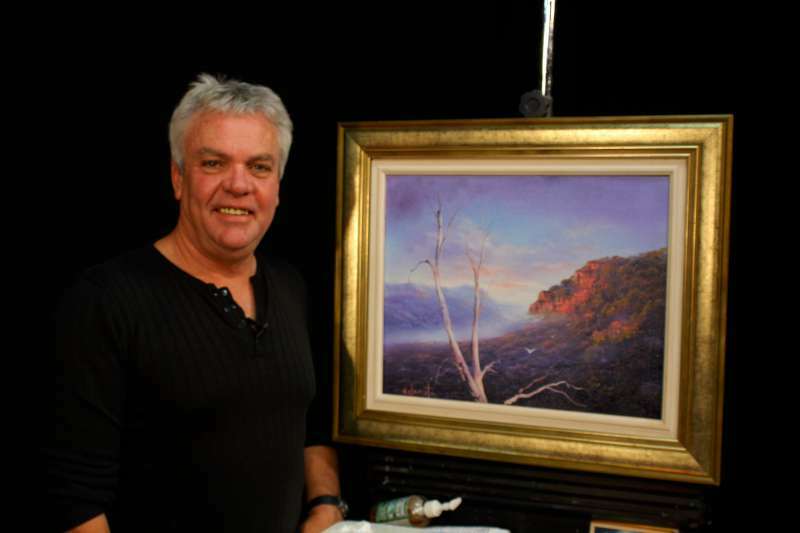 Wayne is the host of twice Logie-nominated national TV program ‘Art Studio’ – which aired on local 31 channels throughout Australia (currently airing in Victoria, SA & WA only). Each episode of ‘Art Studio’ features Wayne creating one of his unique artworks and sharing his technique with the viewers. "Art Studio" is now the longest running Australian TV Art Show in history. Because of his artistic abilities and talent for demonstrating and explaining the oil painting process, Wayne was also hand picked to star in a 20 part International TV Series titled "Class Art" which was broadcast worldwide to over 189 countries. Wayne is a self-taught, innovative artist who has been painting since 1983, after leaving behind a career in the electrical trade. Wayne’s flamboyant style & signature effects are a result of his humorous approach and tremendous enthusiasm for his artwork. 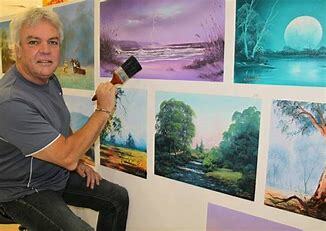 Wayne is a sought after artist and teacher, who has travelled extensively around Australia, captivating audiences as he painted LIVE in Shopping Centres with his travelling art shows for over 30 years. 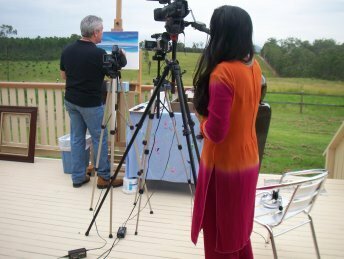 Wayne is now dedicating his time to creating new paintings for his online gallery and doing commissioned artworks as well as producing brand new demonstrational, Learn to Paint videos for his "Luv 2 Paint" VOD series which is now available on his streaming TV Channel. You too can join the thousands of students who have learned to paint in oils and been inspired by Wayne. Please browse the Gallery to view current artwork available for purchase through the website so you can enjoy owning one of Wayne’s original oil paintings for yourself or Contact Us for an obligation free quote to commission your own oil painting. Wayne Clements paints a huge range of different subject matter so you can enjoy the natural beauty of the Australian landscape and seascape, the stunning streetscapes and city scenes, old galleon fine art paintings and many other beautiful artworks including horse paintings, paintings of birds and animals and of course portraits and pet portraits.